A trade show inline display rental from Apple Rock will act as the perfect backdrop at your upcoming trade show event. By renting instead of buying, you can save money on storage and maintenance, and you can change up your display from event to event more easily and cost-effectively. Our expertise will allow you to generate more leads per square foot. 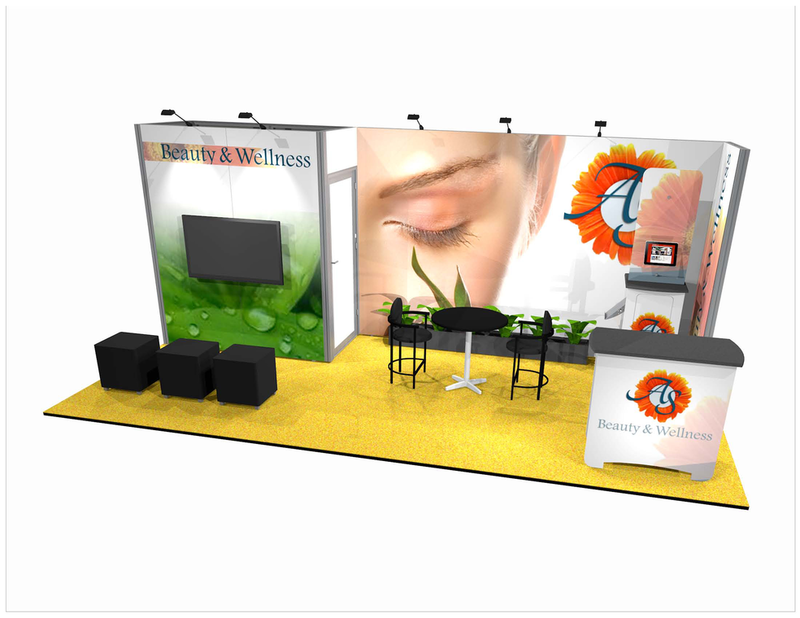 Many great rental designs are available through our Premium Partnership with Nomadic Display.